Registration 11:00 a.m. & Luncheon 11:30 a.m.
Past Presidents' Luncheon: Past Presidents attending are complimentary this month. All reservations will be invoiced unless cancelled before the deadline. With over 40 years of commercial banking experience, Hilarie Blaney serves as a Senior Vice President at BancFirst in downtown OKC in the commercial and private banking department. She is a Corporate Etiquette, Business Image, International and United States Protocol consultant, certified by the renowned Protocol School of Washington in Washington, D.C. She holds a B.S. in Business Management and an MBA in Finance from Oklahoma City University. 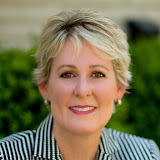 Hilarie is a founding member of Impact Oklahoma, Inc. and serves on the board of Leadership Oklahoma City. She is the 2010 Sustainer of the Year from the Junior League of OKC, 2011 Pi Beta Phi national Crest Award and 2005 Paragon Award from Leadership OKC and 2011 Women in the News Award.